Impacting Multiple Sectors, Intelligent Connectivity Set to Transform Region; Americas to Have 260 Million 5G Connections by 2025. The GSMA today issued a new report highlighting how the region is set to benefit from the fusion of high-speed 5G networks, Artificial Intelligence and the Internet of Things. 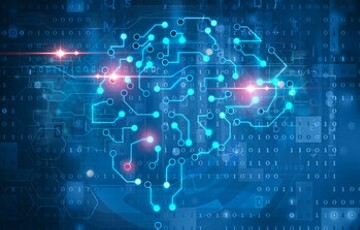 The in-depth report ‘Intelligent Connectivity: How the Combination of 5G, AI and IoT Is Set to Change the Americas’, which draws on interviews with senior representatives from mobile operators including AT&T, Rogers and Sprint, outlines the key sectors that will benefit most from intelligent connectivity, including entertainment, transportation and manufacturing. The new report highlights how intelligent connectivity will impact the future of transportation, enabling safer and smoother travel. It outlines how 5G networks and AI systems will communicate the location of vehicles, bicycles and people in real time, reducing the chance of accidents or collisions. Data on the weather, surface conditions, road works or congestion can be relayed in real time from a cyclist’s helmet and, when combined with AI, could help road users plot better routes. 5G enabled systems will also enhance driving by monitoring the behaviour of adjacent vehicles and responding accordingly, such as applying the brakes, as well as automatically calling for assistance in the event of accidents. 5G will also usher in an era of reliable self-driving vehicles, such as autonomous trucks that travel in convoys or platoons and taxis to take you safely home. 5G promises to fundamentally change the way we consume entertainment, delivering 4K and 8K ultra-high-definition video, 3D video, holograms, augmented reality (AR) and virtual reality (VR) applications for gaming and immersive TV, as well as digital services and content for connected stadia. Music or live sports events could be broadcast from an athlete’s or artist’s point of view with spectators able to access multiple camera angles or replays on different screens or see overlayed information on VR headsets – all from the comfort of their home. Video games will become more immersive and realistic through virtual reality and HD graphics and access to super-fast internet speeds will allow gamers to play in any location without the cost or inconvenience of carrying specialised hardware. AI gaming platforms will also tailor games by making them more engaging and player relevant. The report highlights how 5G networks will enable UAVs (Unmanned Aerial Vehicles) or drones to provide fast, low-cost, secure delivery straight to customers’ homes. The network will help to coordinate large fleets so that they fly safely, automatically avoiding collisions with buildings and other drones as well as provide secure connections, authentication and smart autonomous navigation with high-definition video backup and recovery location in case of emergencies. Mobile operators across the Americas are already making great strides in the rollout and delivery of 5G networks. The US is set to be one of the first countries in the world to launch 5G commercial services. with all four US national mobile operators having announced their first deployment plans. Mobile 5G services are expected to launch later this year by AT&T and Verizon, with AT&T targeting twelve markets and Verizon four. Sprint plans to launch its mobile 5G service in the first half of 2019, with nine markets announced already. Download the report at www.gsma.com/IC/report. For further information on the GSMA’s work on intelligent Connectivity, visit: www.gsma.com/ic. 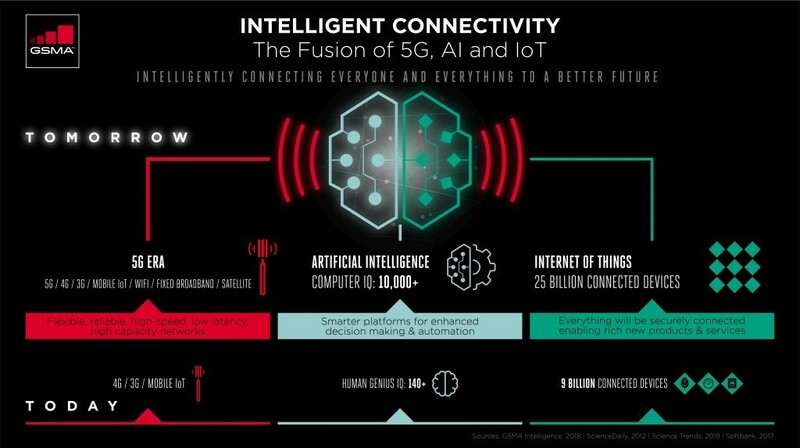 The post New GSMA Report Highlights How “Intelligent Connectivity” Will Transform the Americas appeared first on IoT Business News.